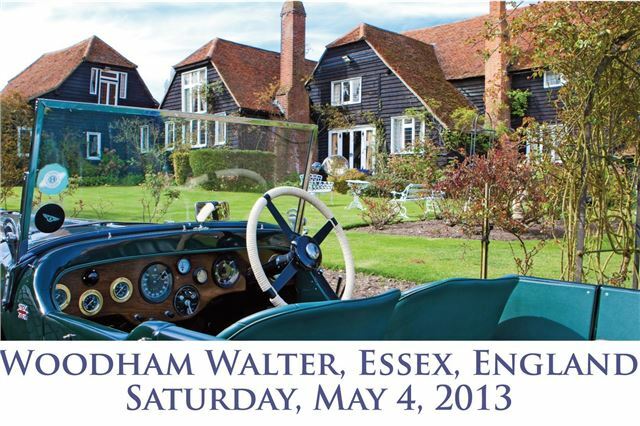 Partnered by Bonhams, EFG International, Fredericke Constant, Hagerty and Hastings Direct., the Warren Classic & Concours will mirror the breadth and diversity of classic and collector motorcars, with a wide array of exhibitors and motor clubs, bonded by their common enthusiasm for classic motoring culture. The event will also host the 2013Warren Concours, a superb tribute to the finest of the classic car genre spanning ten decades, through to the might of contemporary supercars. Besides being a haven for the devout owners and followers of classics, the Warren Classic & Concours is designed to deliver wide appeal. Illustrating the point, the organisers have confirmed a thrilling aerial display by the spectacular Blades aerobatic display team during the afternoon, piloted by former RAF Red Arrows pilots, who put the ‘planes through their paces with superb precision under loads as high as 10g. Sounds like a good day out for the whole family! !